This is the first in what will be an ongoing series of reviews here at GPS. These will be (to the best of my ability) spoiler-free, so as not to ruin the fiction ones I do, as well as relatively brief. I’m a voracious reader, even when I am swamped with other work (it’s what I tend to do instead of watch television), so I’ll probably put out one a week or so. If you’re interested, I’ve actually been tracking exactly what I’ve read (book and GN-wise, anyway) for almost the past four years on LibraryThing. First off, a bit about the authors. 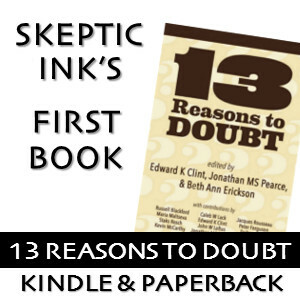 John is the “one atheist,” one of the co-founders of Skeptic Ink, and writes the widely read blog Debunking Christianity, in addition to quite a few other books. Randal is the “one Christian,” a professor of historical theology, and also the author of a few other books. I know John from our work together here on SIN, but as a good reviewer will do my best not to let that influence my feelings on the book. First, the book itself is a great idea. Twenty short debates (each under 3500 words) on a variety of questions, with a very nice back and forth format (opening statements, rebuttals, closings). This means that in about 200 pages you get a pretty wide-ranging discussion of many (not all, though) of the major issues in the “does god exist?” debate. I also liked the cover, which I found quite clever. I was a bit surprised to see that it was published by Baker Books, which is primarily known for publishing Christian works (including books on prophecy and apologetics), and think this is reflective of what a great concept the book is. This was (for me, anyway) a pretty quick read, and I banged it out over a couple of evenings. The writing (on both sides) did not come off in the “I’m smarter than you and I’m going to write as such” way that some apologetic / counter-apologetic books do. Instead, this was a very conversational manner of writing, perfect for someone who is a bit new to the debate and complexities therein. Jesus was resurrected, so who do you think raised him? Overall, I was impressed by John’s writing, both in the affirmative and argumentative. His arguments were clear and sharp, with no fluff attached. He was also defending against the notion of a very specific type of deity – Yahweh as described in the Old and New Testaments. Randal’s, on the other hand, seemed to me to be less defensive of his particular deity and more of the type of deity I see from the “spiritual but not religious” camps. He is certainly not a biblical literalist, which he makes clear several times when rebutting some of John’s arguments. This is most evident when John cites chapter and verse to support that the god of the Old Testament did not particularly care about women or animals, and Randal explains away the text by saying that it may have been meant sarcastically, or non-literally, or that we just don’t understand what it means or why god would have put it in there. One of the other problems, for me personally, was the length. While I do think this is a great starting point in this debate, and think it’s a great introduction to the debated points, I was left wanting more. I would have been happy with doubling the word length for each section of each argument. But then again, I’m the kind of guy who reads 1,000 page books for fun, so my opinion may be skewed a bit. In sum, I would definitely recommend buying this book, whether you are a believer or a non-believer. The bang for the buck makes it a great value and it is (although I would have liked it longer) a nice introduction to the field and the major questions. Overall, I think that John came out ahead in the debate column, but Randal did score some points by not relying on a literal interpretation of Biblical text (although I’m sure a believer would put Randal as winning, it is the nature of us being human to confirm our own beliefs). 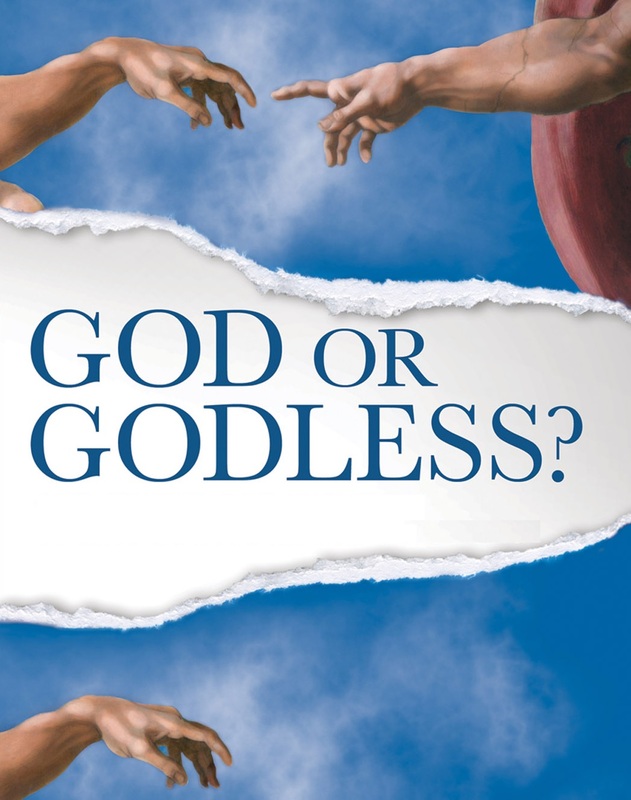 You can buy a copy of God or Godless from all online booksellers, or directly through Baker Books. Nice review! Thanks for reading it and recommending it. Sure thing, John. I’ll be reading/reviewing OTOF in the next month or so as well. Well that’s good news to my ears! Thanks again. It was great meeting you at TAM!